Stop replacing your American flags so frequently! Investing in a better quality US flag will save you money and avoid the embarassment of flying a tattered or faded American flag. 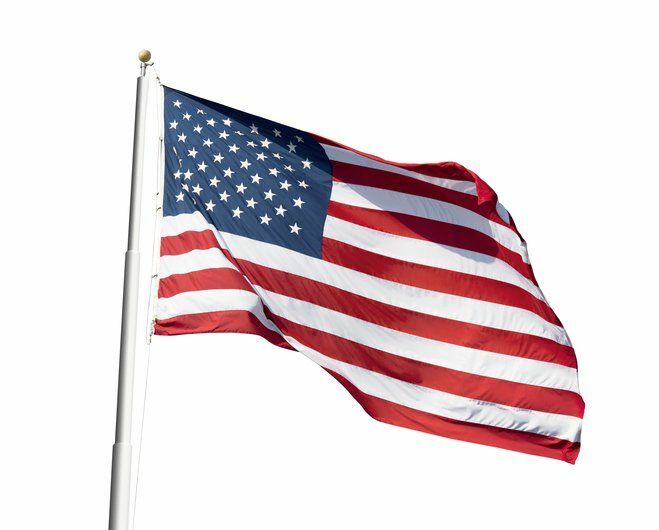 Annin's Tough-Tex American flags are specially designed to resist the elements and feature exclusive 100% 2-ply, spun woven polyester that is resistant to high winds, sun, rain and snow. These premium American flags feature the brightest fade-resistant colors available and are backed by Annin's 1-year colorfast replacement warranty. Every Tough-Tex US flag is double inspected, certified to meet all US government & military specifications. These are the very same US flags flown by the U.S. military.